One of the best trek in Borneo! For travelling to Mulu in 2018, please contact us here. When head-hunting was at its height, a hundred years ago, Kayan war parties from the Baram made their way through the Mulu area to attack the Murut longhouse and Chinese farmers along the Limbang River. Paddling their war canoes up the Melinau River to the Melinau Gorge, they dragged them 3km overland to the headwaters of the Terikan River. The "Kayan Road" a 4 m wide trail with poles laid across it to facilitate dragging the boats. Today we call it "Headhunters Trail". 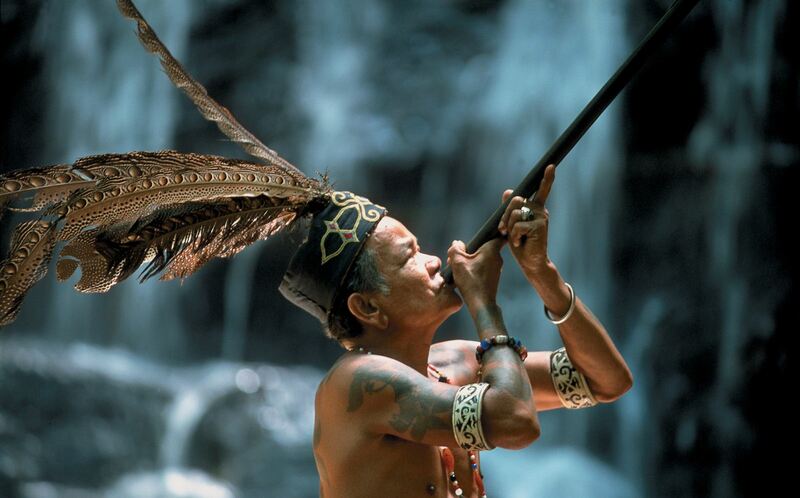 The Borneo Headhunters that you can meet on this journey is something that you must not miss. 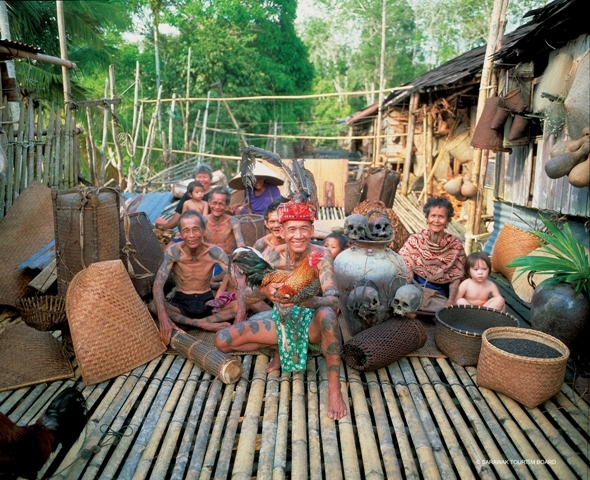 Journey through the headhunter's trail and learn more about the Sarawak culture here in Mulu. 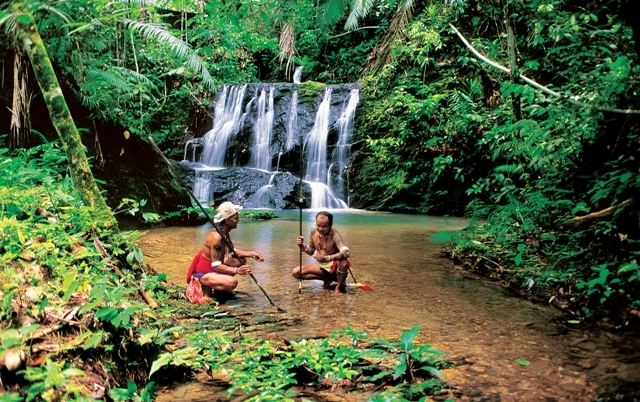 Only in Borneo Malaysia, you can have this experience of a lifetime with the trails and also staying at their longhouse. We then proceed to visit the largest cave passage in the world – Deer Cave and Lang's Cave. The enormous chambers of Deer Cave are home to over 32 million bats! At dusk we witness the amazing spectacle of these creatures emerging from the gaping mouth of the cave, as they head out into the forest in search of food. We return late in the afternoon to Park HQ and transfer by van to Benarat Inn. Early breakfast and we ascend Mt Api to the Pinnacles (1200m). As we climb the forest of big trees give way to bushes and rhododendrons. At the top there is a magnificent view across the Pinnacles and Brunei Bay. Packed lunch provided at the view point. We descend to Camp 5 for overnight. This morning we follow the ancient path of the headhunters, crossing two rivers to meet the boat at Kuala Terikan. 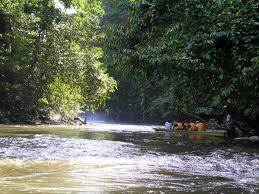 Descend down the river to the Iban longhouse. Here, we spend a night as guests of our Iban hosts. Please don't expect any comforts and be prepared for the fact that the living conditions in the longhouse are extremely basic – this night is designed to give you a first-hand taste of how the Iban people live and also provide an insight into their unique customs. We will be sleeping on the ground, on simple mats and it is highly recommended that you bring your own sleeping sheet. The Iban are generally very reserved people unless, of course, they get on to their home-brewed rice wine! In the evening, share a glass of "Tuak" (rice wine) with the Ibans and join in their music and traditional dances. The white-men's version of the headhunters' dance is always the most amusing!. We overnight at longhouse. Meals included: 1 breakfast,1 lunch, 1 dinner. This morning we farewell our Iban friends and continue our journey by boat to Medamit. From there we travel overland to Limbang. Tour end. 1 way air ticket to Mulu, 1 night stay at Benarat Lodge, 2 nights stay at Camp 5, 1 night stay at Iban Longhouse, All tours as per itinerary, Entry Permit / Climbing Permit / Camp & Longhouse Fees. Meals as stated 4Breakfast/4Lunch/4Dinner, longboat expedition and English Speaking Guide. **You may opt for meal at Mulu Marriott Resort & Spa at additional charge. 2.Tour Grading: moderate (4-5hrs trek) Climbing Pinnacles (3hrs ascend) Please note during raining day , the park Ranger might have to cancel the climbing trip due to safety reason. 3. Trek from Long Lutut to camp 5 ( 3hrs) Easy trek through lowland forest. 4. Trek from Camp 5 through headhunters' trail is easy which takes about 4-5hrs to Kuala Terikan. 5. Stay overnight at longhouse accommodation is very basis. RM25 per nite for mosquito net and RM25 per nite for blanket can be rented from Camp 5. If you wish to save a bit, you may also use your towel as blanket and bring along a long sleeve shirt to wear during the night. Do bring along mosquitoe repellent as well.